Need proper tech support but cant seem to find it? Do you need someone who speaks your language? Wait no more! We know what it's like when emails go down, your website is not displaying and you're pulling out your hair because you have a ton of emails to reply to and can not get hold of your tech support guy who doesn’t speak your language anyway. Here at WebOracle we totally get how frustrating this is. Our experience helping large clients navigate all things IT means you get the benefits of big business solutions priced to suit your small business needs. We’ve listened to our smaller clients and come up with a pin-sharp suite of services to keep you right on track, so you can concentrate on your business without having to worry about anything tech going POP! Worried about changing suppliers? We understand that too – it’s scary when you don’t really understand how it all works. And that’s why our package takes care of every step of the supplier changeover for you, so you don’t have to do a thing except for pass on the required info. There’s no downtime and no stress for you – just the end of your tech support frustrations. Our carefully crafted Tech Support Package looks after all your online digital needs and lets you get on with doing what you do best! Phone Support - not provided on basic packages by other companies. Hardware Support and Setup Relating to this service - Phone and Computer set up trouble shooting etc. 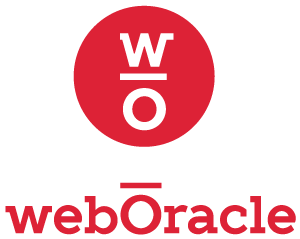 In addition, WebOracle can also provide your company with a strong ongoing Marketing Campaign along with Tech Support Package geared to helping you get on with working on your business and free of any stress. For more information on all our services and bespoke requirement please contacts us on 1300 505 763 or email us here. Stop wasting your hard-earned money! Recent reports revealed that 34% of Australian small businesses fail because of poor financial control, and your tech support spend plays a large part of your ongoing business costs. While engaging an independent tech support operator who charges you by the hour may seem like a good idea, this quickly ends up costing you more than if you commit to a monthly tech support plan that covers everything. Better still, having an agreed tech support plan in place each year means you can better manage your tech support costs and cash-flow. We understand most people don’t ‘get’ IT. You just want it to work, and when it doesn’t work properly, you just want to speak to someone who understands you and ensures it’s fixed quickly. 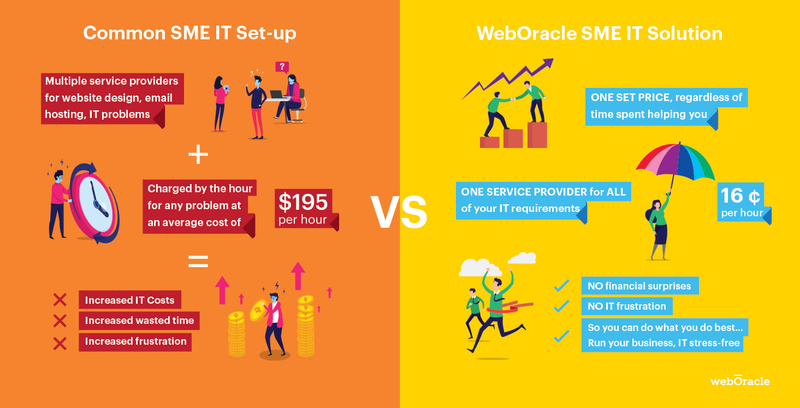 WebOracle has spent years listening to small businesses to fully understand what your tech support needs are, what you want out of your tech support service, and most importantly, developing our services to ensure you never have to worry about anything Tech.